11/2 cup grated and slightly squeezed carrots. Mix Melted ghee and carrots in a microwave safe and heat proof bowl and microwave on high for 2-3 minutes. Mix rest of the ingredients to the carrot and ghee mixture and stir well. Microwave for 8 mins mixing after each 11/2 minute. 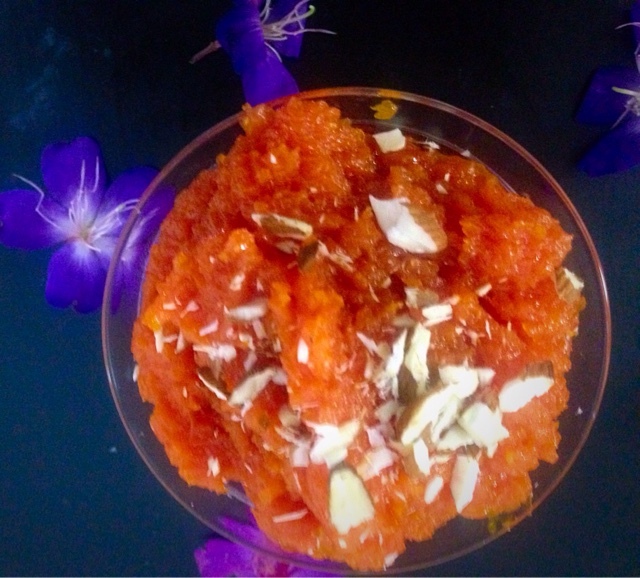 Your carrot halwa is ready. Garnish with nuts of your choice. Serve hot or cold.